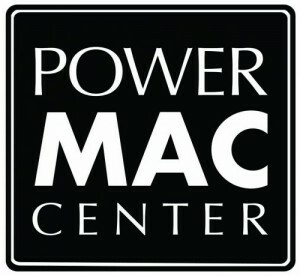 Power Mac Center (PMC) is known to be one of the most reliable retails shops of Apple products and accessories in the country. This 2011, PMC invites everyone -- PC and Mac users alike -- to sign up for FREE training sessions called Mac App Store Training Program in selected stores. The said program aims to increase familiarity, knowledge on the use of Mac App Store and the available apps designed for Apple products. Aside from learning more about the new applications, PC users will be able to see and appreciate the power of Mac. Meanwhile, avid Mac enthusiasts will get to know more on how they can increase productivity by using the apps from the online store. Each session will be divided into the following 30-minute lectures: iMovie and Final Cut Pro; iPhoto 11 and Aperture 3; App Store and Apps; and Keynote. iMovie and Final Cut Pro are Apple’s powerful movie-making package; iPhoto 11 and Aperture 3 are for editing and managing photos; while Keynote is Apple’s presentation software. To sign up for free, visit http://powermaccenter.com/services/training/learning_series or email training@powermaccenter.com. For more details on their latest offers and other Power Mac Center services and promos, as well as updates on the latest Apple products, visit their website at www.powermaccenter.com.